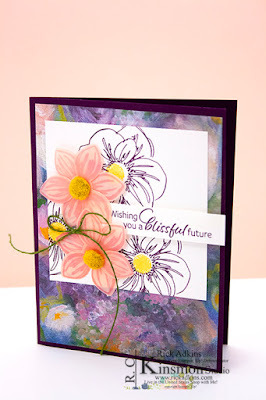 Hello and welcome to my blog; today I am going to share with you a card that I create during last weeks YouTube Live. I go live on my YouTube Channel every Tuesday at 4:00 pm CST, with a new project. 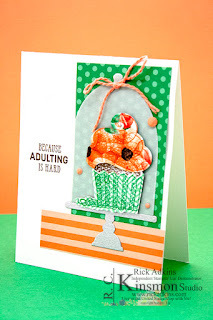 During last weeks episode I used the Hello Cupcake stamp set and a few other Saleabration items, plus the Call me Cupcake Framelit dies which are part of the Saleabration Coordination products that can be purchased. Here's a look at my Card. For the card I used showed how to add extra texture to your stamped images by stamping on your designer series paper. 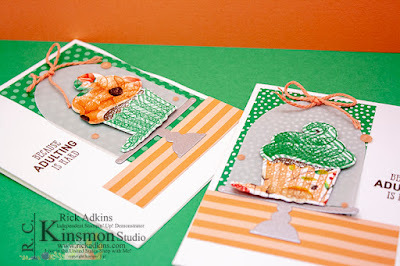 This allows for more texture and additional colors without a lot of work. I used the Stamparatus to stamp my images. This allowed me to double stamp and triple stamp the images as need with perfect placement each time. You will see what I am talking about in the video tutorial. You can catch me live each week by clicking here and subscribing to my channel. For the top folding card I placed everything on the right hand side of the card base. While on the side folding card I placed the pieces on the left hand side. You can earn the Saleabration items for FREE based on your purchases. We are in the last month of Saleabration so I would recommend that you take advantage of all the free Saleabration items that you can earn. 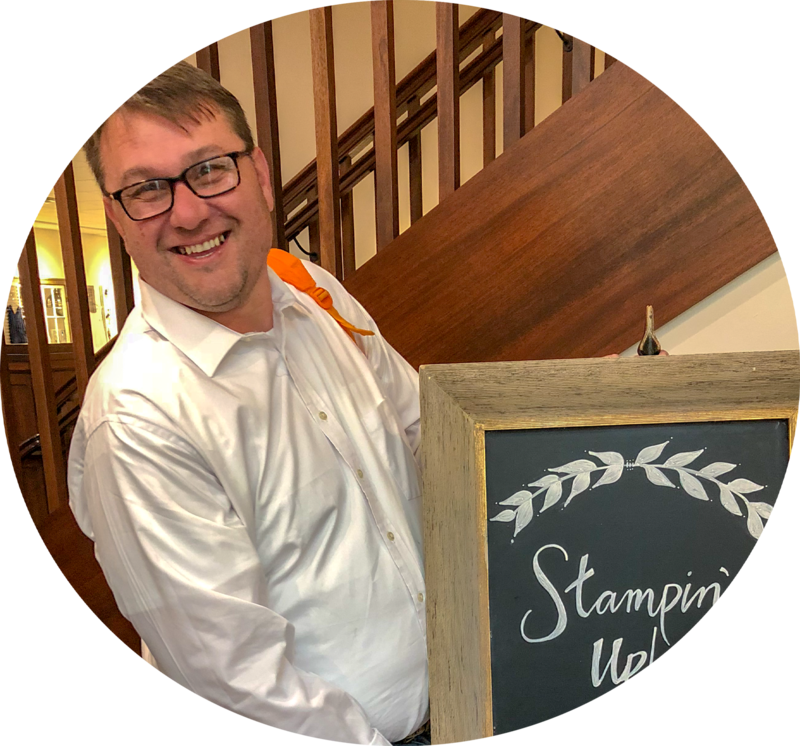 You can find the full list of supplies in the Stampin' Up! Shopping List below. 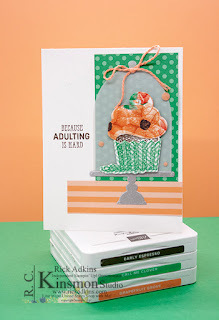 Labels: stampin' up!, crafts, cardmaking Call Me Cupcake Framelits, Hello Cupcake Stamp set, Painted Seasons Designer Series paper, rick Adkins, Saleabration, Stampin' Up!